Thompson Center Contender Pachmayr Pistol Grip and Forend G2. Fits the G2 contender. Heavy rubber grips. Excellent condition with hardware. Shipped with USPS Priority Mail. It is in great shape, and it includes it's mounting screw. T/C CONTENDER TUNE UP KIT. For older model contenders, not G2. Thompson Center Contender forearms with screws. One has a few marks on the right side as seen in the last picture. No cracks. These should fit the Super 14 barrels. No international shipping. 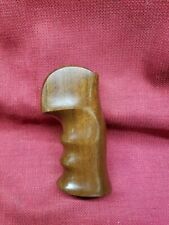 THOMPSON CENTER CONTENDER G1 walnut wood grip RIGHT HAND, NICE !! Complete with choke wrench and box. This is a. 223 barrel. Thompson Center Contender .22 & 30-30 Barrel, Plus 2 Forends. Condition is Used. Shipped with USPS Priority Mail. The .22 barrel is in rough shape, but bore looks good. The 30-30 is in excellent condition. The extra forend does not fit either barrel. Thompson Center Arms Contender Super-14 .223 with walnut forearm & scope base. Condition is Used. Shipped with USPS Priority Mail. Thompson Center Contender Barrel 357 Magnum Mag Rem TC 10" octagon Pistol Open Sight. Condition is Used. Shipped with USPS Priority Mail Medium Flat Rate Box. So much so that we are looking to relocate to a new, larger facility once again. Actually opened the door just before the tragedy of 9/11. Long before we opened our doors to the public. A quality product at a reasonable price. The barrel is NEW in box. It is tapped for scope only. This is a great barrel - don't pass it up! Your order. Barrel is in very good condition. Bore and rifling are excellent. Your order. Thompson Center Contender, T/C, .357 Magnum Choke Wrench, 9180, ...New !! Up for auction is a Thompson Center Contender barrel in 45-70 GOVT. it is 14” long with a muzzlebrake. Overall in very good to excellent condition with one small area of rust on the right side of the barrel about 1x4mm. The bore looks great and it should shoot well. See the pictures for the best description. No international shipping. 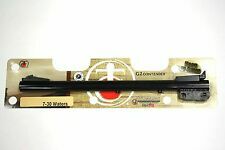 Thompson Center Contender T/C barrel, Super 14" inch 30-30 Winchester, NICE !! I used chalk to highlight the lettering for taking pictures and does not affect anything; it can be removed easily with a toothbrush or rag. 375 JDJ SUPER 14 BARREL FOR THE TC CONTENDER. 2 - 7 EER SCOPE. NICE BLUEING. LOOKS TO HAVE BEEN SHOT VERY LITTLE GREAT USED CONDITION. Thompson Center Encore Pistol BBL 15" Stainless Steel .22 LR #1786 NIB! 15" Stainless Steel. 22 LR. Thompson Center Encore Pistol BBL 15" Stainless Steel .17 HMR #1914 NIB! 15" Stainless Steel. 17 HMR. 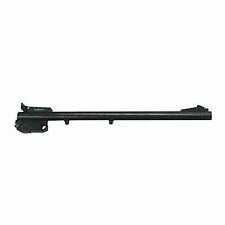 The barrel has front and rear sights and is fluted. 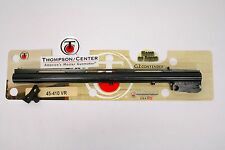 Thompson Center Contender barrel, 10" inch 45 LC Long Colt,.410 shot shell NICE! Thompson Center TC Contender pistol Grip Wood Rubber NO Hardware. Condition is Used. Shipped with USPS First Class Package.